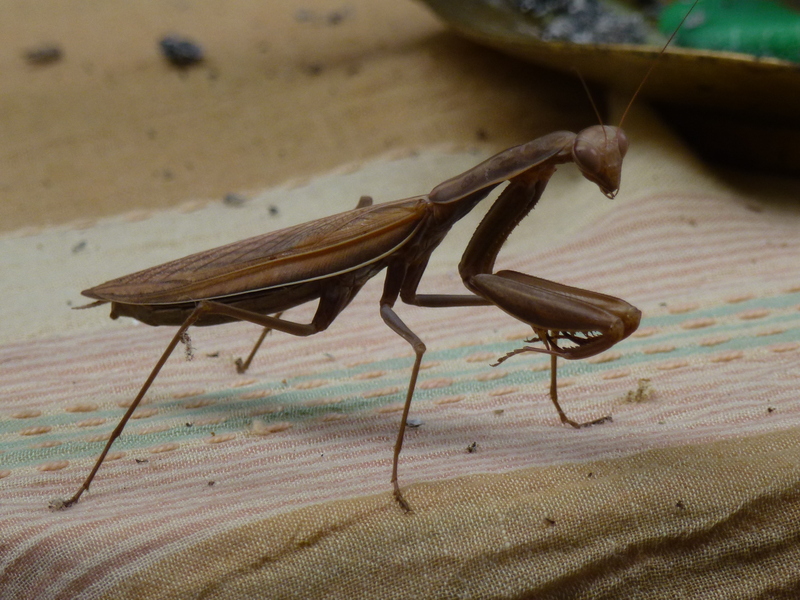 This praying mantis appeared on the table in our back yard yesterday. 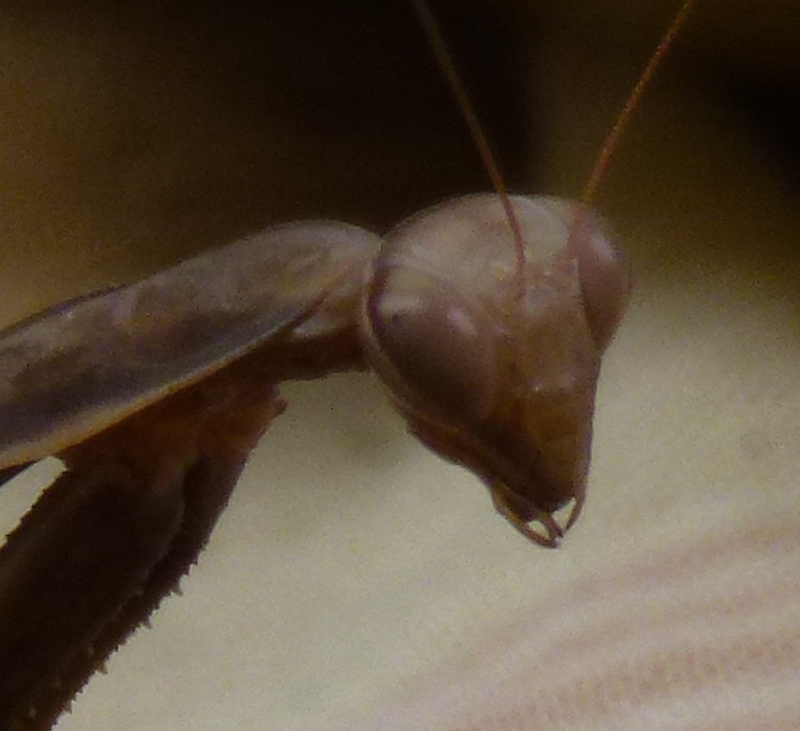 The praying mantis or mantid (sometimes misspelled as ‘preying mantis’, as it is a hunter as well as seeming to adopt a position of prayer) is from the family of mantodea, a term for the species devised by the German entomologist Hermann Burmeister in 1838 from the Greek mantis, meaning ‘prophet’, and eidos, meaning ‘shape’. Prophet-shaped. Burmeister obviously had a sense of humour. More exactly Burmeister determined that it belonged under the Phylum of Arthropoda, the Class of Insecta, the Subclass of Pterygota, the Infraclass Neoptera, the Superorder of Dictyoptera and the Order of Mantodea. And, as my daughter pointed out, ‘mantodea’ sounds quite Welsh, though that is neither here nor there. ← What is a Classic?